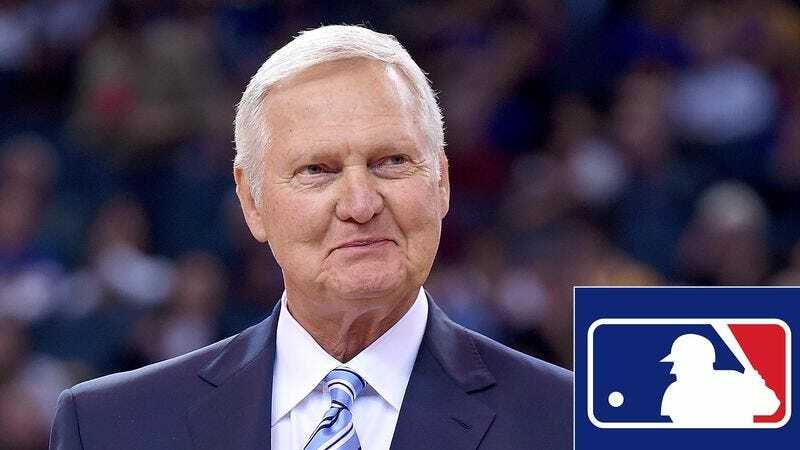 LOS ANGELES—Admitting that his iconic physical form had an influence far beyond the NBA, former Lakers guard Jerry West revealed to reporters Thursday that he is also the inspiration for the Major League Baseball logo. “People think my nickname is ‘The Logo’ just because of the NBA, but the silhouette in the MLB logo is actually based on my batting stance,” said West, noting that graphic designer Jerry Dior created the MLB logo after once seeing the NBA Hall of Famer play baseball in 1968, with his body posture since becoming a classic symbol of the sport around the world. “If you ever watch the PGA Tour, that’s my golf swing in their logo, and the ATP used an old photo of me during a weekend tennis match to make their logo as well. The NFL logo isn’t based on me, but it is based on an old decorative shield I used to have hanging in my house.” West added that of all the logos that use his likeness, the one he feels most captures his essence as an athlete is that of the X Games.